In a dream world, you’d be able to spend as much money as you wanted, and your bills would be magically taken care of. Then you wake up and realize that unless you have a limitless source of income, going without a budget is the fast track to going broke. Without a budget it’s only a matter of time before you can’t afford your rent, keep the lights on, or pay off your debt. Banking that grows your savings automatically. Free to apply. No hidden fees. Get paid up to 2 days early. Now it’s time to create a budget that works for you. And, although everyone’s financial situation is different, a percentage-based budget might be the perfect solution. What is a percentage-based budget? Unlike a traditional budget – where you manage your money based on your previous spending history and make changes as you go along – a percentage based budget takes into account the present and future. Huh? That’s right. A traditional budget only looks to the past without taking into account how much you should be spending and saving from your current income. A percentage-based budget, on the other hand, divides up your monthly earnings into percentages that go toward your expenses, savings, debt, disposable income, and other categories of your choosing. 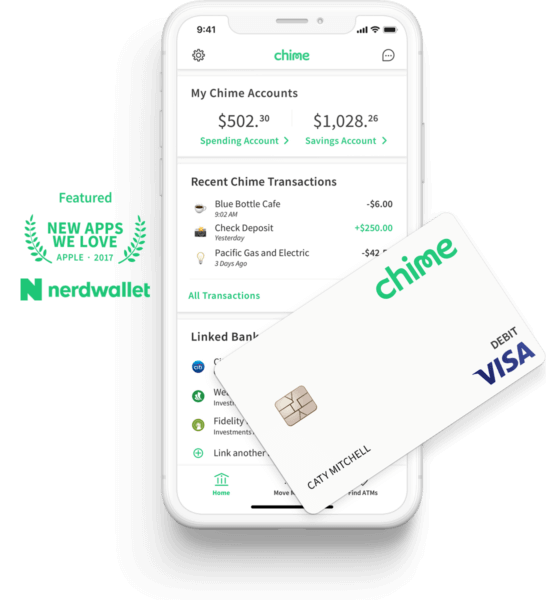 This encompasses your earnings at the moment and helps you predict how to allocate your funds so that you can effectively pay your bills and save money. 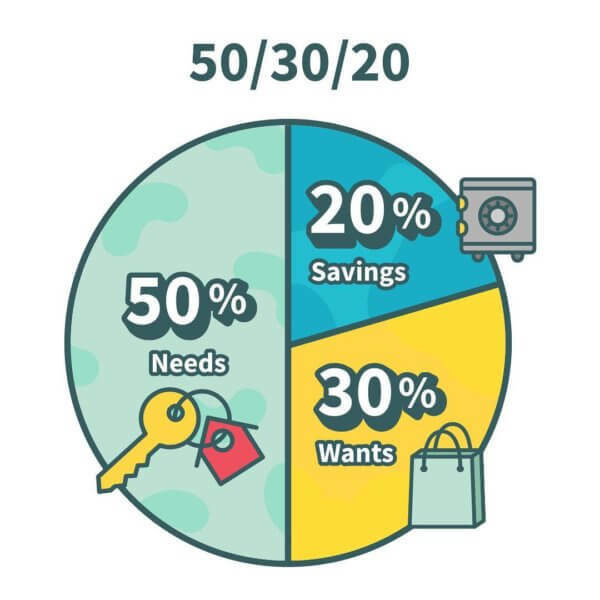 One of the most common percentage-based budgets is the 50/30/20 rule. And, you guessed it: this budget divides your after-tax income into three categories. Take a look. What are your needs? Typically this includes food, rent or mortgage, a car loan or lease payment, student loans, insurance of any kind (auto, health, life, etc. ), and monthly costs like utilities or electricity. You might not have all of these expenses, and you might have others to add to the list. But, in general, half of your take-home pay in a percentage-based budget should go towards the necessary bills that pay for your food, shelter, and transportation. So, if your monthly net pay is $5,000 and you follow 50/30/20 rule, you’d set aside 50% — $2,500 — for these necessities. This might encompass $950 for rent/mortgage, $300 for your car payment and insurance, $400 for groceries, $250 for student loans, $75 for utilities, $100 for cable/cell phone, and $150 to insurance. The remaining $275? Treat it as wiggle room; you may need it for other needs, like clothing or out-of-pocket fees for doctor’s visits. With this plan, your budget covers the exact total. In a percentage-based budget, 30% of your income is spent towards your wants or personal expenses. Following the $5,000 take-home pay example, you can allow yourself $1,500 on “flex spending,” or anything from dining out, clothes shopping, Starbucks, your cable or cell phone plan, travel or leisure expenses, gift spending or a gym membership. In the grand scheme of things, these purchases may be important to you, but they are entirely optional costs. Using this type of budget, the remaining 20% of your income goes towards an often overlooked part of budgeting: saving money. This could be anything from a simple deposit account to a rainy day fund. It could also mean contributing to an investment account or a retirement plan, like a 401(k) or IRA. Once again using a hypothetical monthly income of $5,000, this would mean saving $1,000 of your after-tax money towards the savings goals of your choice. As long as you have leftover income after covering your needs, a percentage-based budget may work well for you. Flexibility. You could be on a fixed income and set fixed percentages or set up a more flexible plan based on fluctuating income. A percentage-based budget works for both. You can tweak and modify your spending/saving categories according to how your earnings and expenses change over time. This way, your budget takes into account your financial situation at any given time. Discipline. If you’ve been prone to overspending or struggled with debt, percentages keep your budget balanced and make sure you live within your means. It’s an equitable form of budgeting and allows you to meet all your wants and needs without making too many concessions. Granted, the 50/30/20 plan isn’t the only percentage-based budget. All percentage-oriented budgets are entirely customizable. Perhaps a 60/20/20 or 40/20/40 would work best for you. You can even break it down more specifically. For example, you can choose to allocate 30% to housing, 20% to transportation, 15% for food, 10% to insurance, 10% toward health expenses, 5% for savings, 5% for personal expenses, and so on. When is a percentage-based budget wrong for you? A percentage-based budget isn’t great for everyone. For example, if you are in-between jobs or if things are really tight, you may not have the financial breathing room for this type of budget. In this case, your goal might be increasing your monthly earnings to make sure you can cover your needs. Wants and savings can come later. Make adjustments where needed. Just because you have a percentage-based budget doesn’t mean you should set it and forget it. All budgets are a case of trial and error, and in the first few months of your budget, it’s possible that you might be overextending one portion of your budget, or not devoting enough income to another part of your initial plan. Tweak the numbers depending on your current situation and lifestyle. If you just got a raise, for instance, you might be able to increase your percentages to pay more towards debt. But, if your rent or insurance rates have risen, it could mean cutting back on the amount you set aside for personal expenses. Look at your current finances to set a plan for the long term. Remember that your percentages shouldn’t be decided upon arbitrarily. Calculate them based on your existing finances. Reduce your costs. When you find ways to pay less money on expenses, it frees up more money to use where it counts most. If you’d like to cap your housing costs at 35% of your budget, but you’re earmarking 70% toward your rent, then it’s time to start looking to relocate to more affordable digs. You can also look at other creative ways to free up funds like shopping on sale or buying generic to cut grocery costs, negotiating lower car insurance rates, or refinancing your loans. Every saving effort counts. Once you’ve found ways to save, it’s now important not to go out and spend this newfound cash. Use it instead as bonus money towards the savings percentage of your budget. This way you’ll save money and meet all your financial goals.